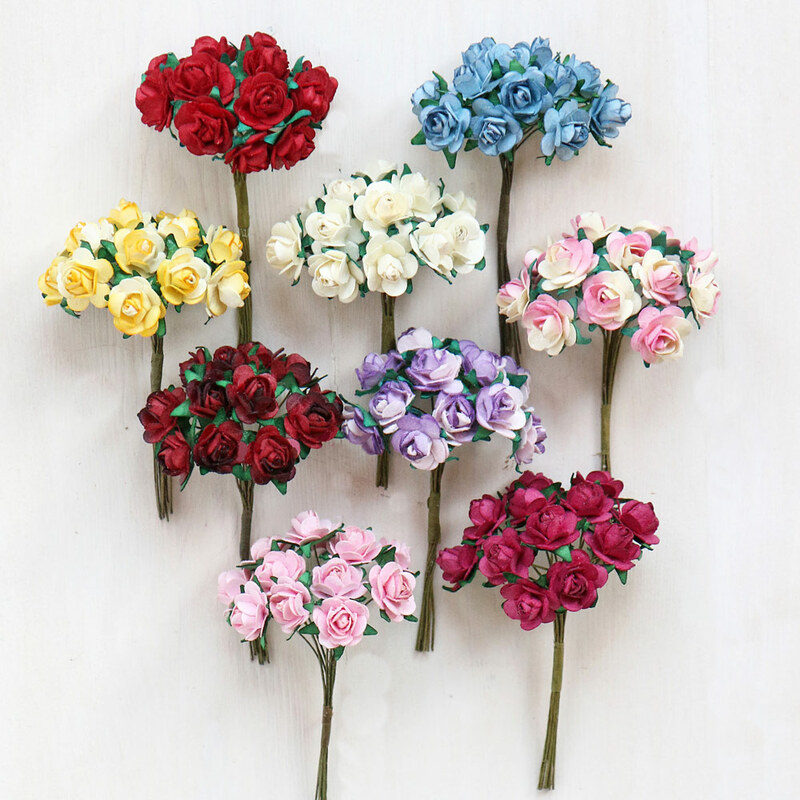 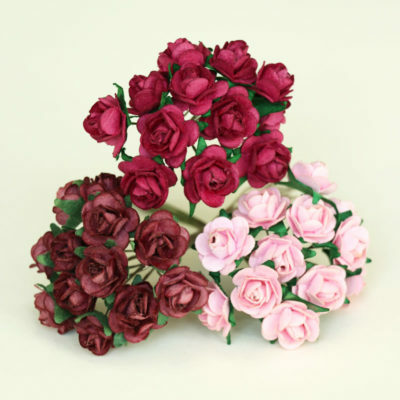 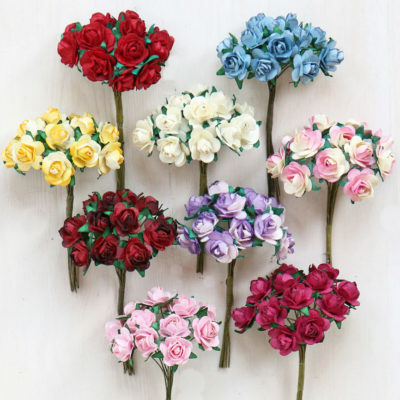 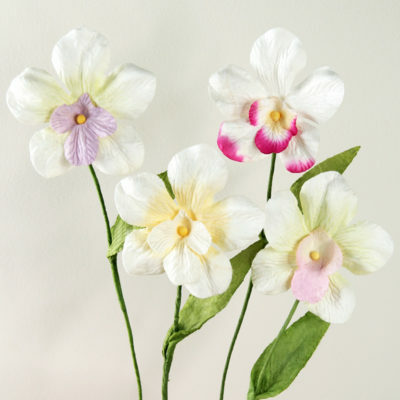 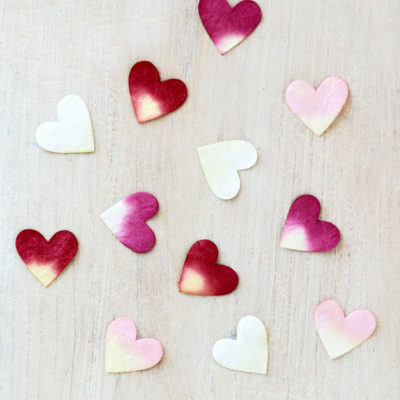 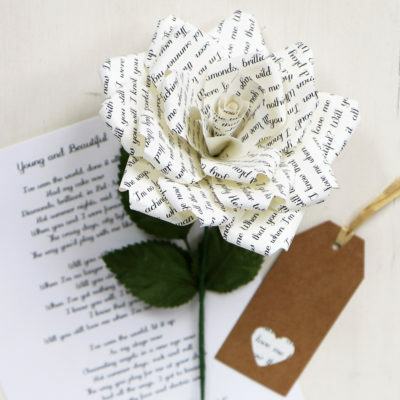 Bunch of 12 mini paper roses for craft, card making, decorating gifts and favours. 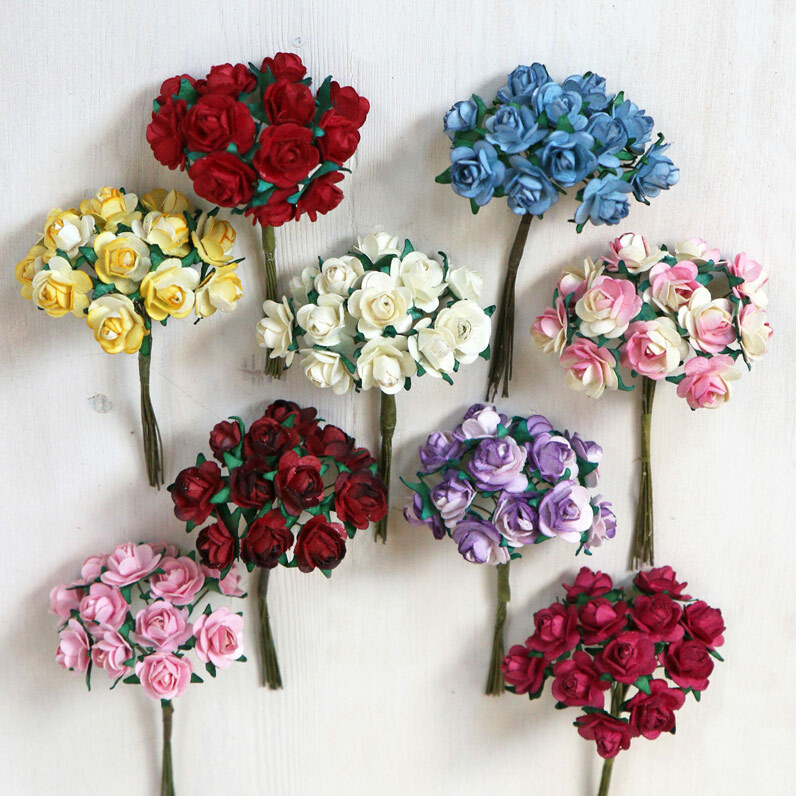 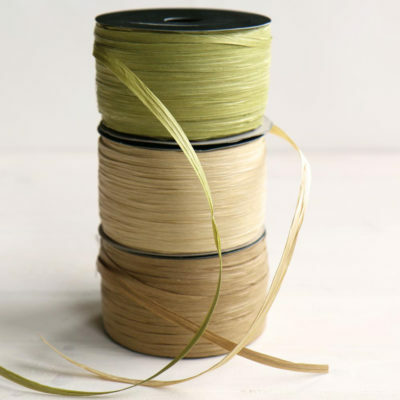 Available in 9 colours – red, blue, yellow, ivory, pink/ivory, burgundy, lilac, pale pink and dark pink. Bunch of 12 mini paper roses for craft, card making, scrapbooking, decorating gifts and favours. 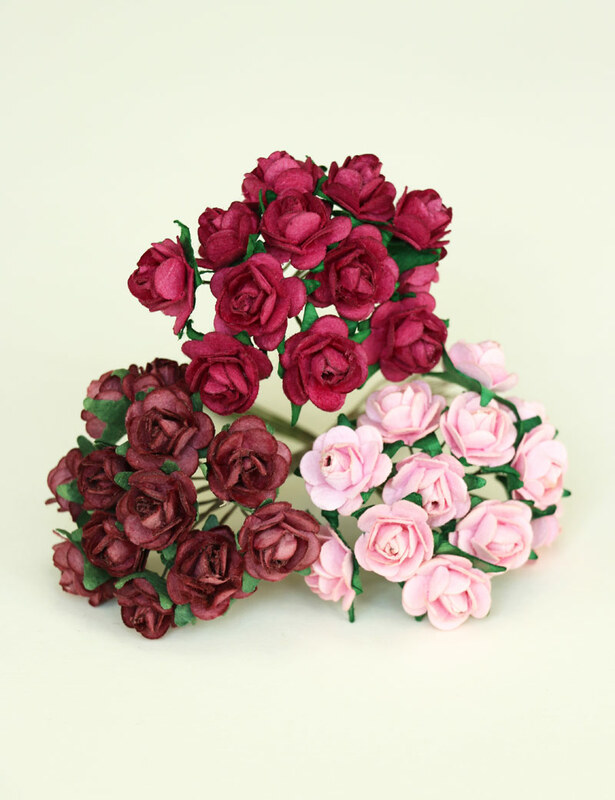 Stem length 10cm, rose diameter approx 15mm.